We like it like that. 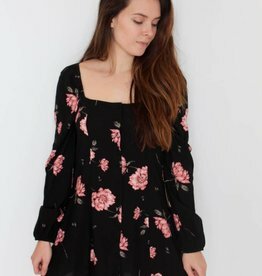 The Last Hurrah Dress is flattering and easy for any occasion. Featuring ruffle collar bone, long sleeve, flowy silhouette. Perfect for a bride-to-be or any occasion!